Boogie Wonderland: Inspired by the film Looking For Mr. Goodbar, Earth, Wind & Fire teamed up with The Emotions for this 1979 disco hit that reached No. six on the Billboard singles chart. The groovy tune was later featured in such movies as Caddyshack, Happy Feet and The Mirror Has Two Faces. Sing a Song: White pr-oduced and wrote with Al McKay this peppy 1975 track that peaked at No. five on the Billboard singles chart. He said the genesis of Sing a Song was completely unintentional. Earth, Wind & Fire actually came up with the song while goofing around during a sound check. Let’s Groove: With catchy lyrics and an unforgettable bassline, White and Earth Wind & Fire proved disco wasn’t totally dead with this 1981 smash that reached No. three on the Billboard singles chart. The trippy music video for Let’s Groove famously featured the band decked out in colorful space suits. After the Love Has Go-ne: White produced this 1979 slow jam written by David Foster, Jay Graydon, and Bill Champlin. 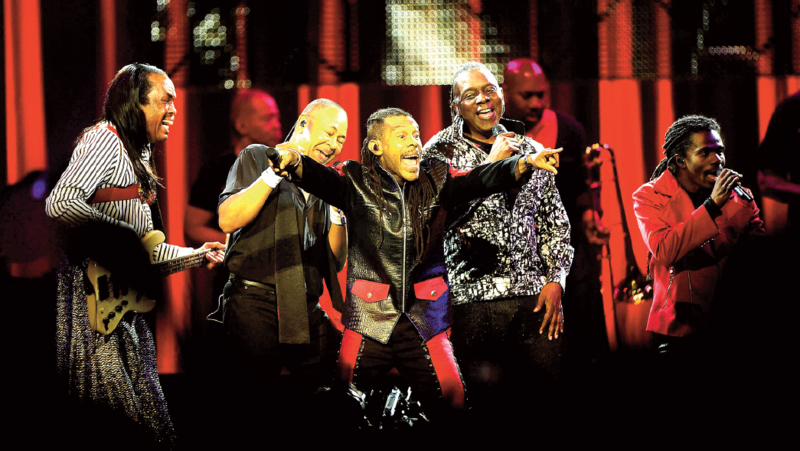 The iconic tune earned Earth, Wind & Fire the Grammy for the best R&B performance by a duo or group with vocals. After the Love Has Gone reached No. 2 on the Billboard singles chart. Shining Star: Earth, Wind & Fire achieved their biggest success with this 1975 funk classic that rocketed to No. one on the Billboard singles chart. White was inspired to write the song while gazing into the sky during on an evening stroll when the band was recording the album That’s the Way of the World.